Like so many other governing bodies, the Jockey Club, the Football League, the Lawn Tennis Association and the MCC, the Kennel Club is much criticised, much maligned and frequently misunderstood by writers, the general public and even their own members. 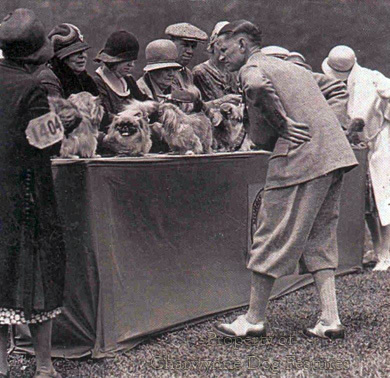 Established by real dogmen over a hundred years ago, the Kennel Club has become the authoritative body in the world of pure-bred dogs, although in recent times more dominated by the show fraternity than the devotees of the functional breeds. There is no doubt that the KC has done some good in the pedigree dog world and I believe has always been well-intentioned, however misinterpreted or misused its role and rule has been. Breeds, for example, like the deerhound, the Irish wolfhound, a number of terrier breeds and spaniels like the Sussex, field and Clumber have been perpetuated in KC showrings long after sportsmen had abandoned them. Even its strongest critics realise that the KC is rather more than a durable Aunt Sally and isn't going to go away; I suspect that all those genuinely concerned with the best interests of dogs would prefer to salute it rather than slam it. With increasing public concern over discomfort and disability in some breeds from the exaggeration of typical features, growing veterinary concern over the worrying increases in hereditary diseases and widespread distaste for cosmetic surgery on dogs, the time is now ripe for the KC to change direction on a number of important issues. There is a clear requirement for moral leadership to replace benign patronage, for there must always be a moral dimension to the work of any body dealing with live animals. The freedom given to the breed clubs by the KC has not been honoured by every breed club, with some falling victim to a dominant clique of misguided individuals. 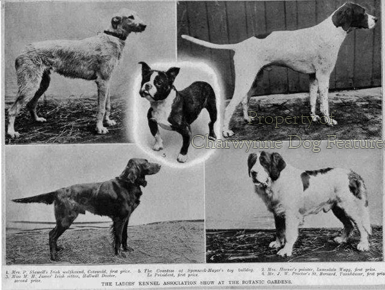 In such cases the stance of the KC has sometimes seemed to be "tell me where you want to go and I'll lead you there" rather than that of safeguarding the best long-term interests of the breed concerned, whether over the wording of breed standards or the probity of breeders with defective stock. It is simply not good enough to act as a fee-collecting rubber-stamping agency feigning helplessness in such circumstances. Authority without responsibility is immoral. Against this background therefore, I am considerably heartened to read the recently produced report of the KC working party on surgical enhancement of the appearance of dogs and hereditary diseases in dogs. The submission of a report, however commendably-worded and admirably-intentioned, is of course only the first step in a sequence in which actions eventually speak louder than words. I am concerned too that KC committees have a record of trying to "place a pillow on every fence" and I have learned only ever to expect real change to come from strong-minded stout-hearted individuals rather than committees however well- intentioned. I have a lingering fear that some parts of the report have been written in an attempt not to antagonise some prominent breeders. Whenever real change is achieved, someone somewhere nearly always has to be upset. The report covers a lot of ground and makes many different but related points. A code of ethics for owners and breeders of registered dogs was drafted and recommended for implementation. 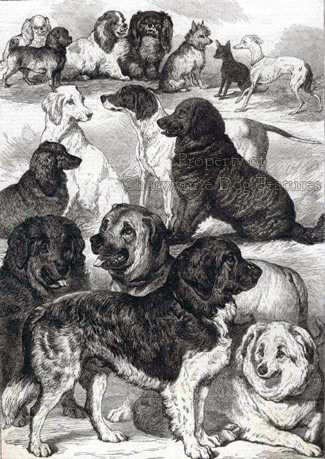 Identification of dogs was considered desirable. The KC/BVA committee was to be reconstituted. Stricter criteria for acceptance on the breed register were advised once the code of ethics had been promulgated. But, for me, the most important element in the report is the section dealing with hereditary defects. The report recommends that notification to the KC of operations carried out by veterinary surgeons on inherited anomalies is highly desirable. The fifth article of the general code of ethics stipulates that all those under KC jurisdiction "agree without reservation that any veterinary surgeon operating on any of their dogs to correct a hereditary defect, may report such an operation to the KC". Having campaigned for over a decade for all inherited defects in dogs to be made notifiable by veterinary surgeons, I applaud this as the first step in the right direction. There are a number of aspects over the implementation of these measures which concern me, however. The veterinary profession is there to serve animals not their owners yet I can foresee objections from vets not prepared to offend paying customers by "informing on them", seeing it as some kind of ethical dilemma! I groan inwardly whenever I hear scientists pleading ethics as a problem; ethical behaviour is essentially a matter of our individual consciences rather than a professional response. Dogs in distress from genes or germs should expect to receive the unquestioning support of any animal doctor. But even more problematical is the action to be taken by the KC against breeders of registered stock which is transmitting congenital flaws. Unless the KC backs its words with action it will lose the respect of its better members and the confidence of the dog-owning public. There must be sanctions, including deregistration, against those breeders using stock which pass on hereditary defects. Only the KC can achieve this. Yes, there will be kennels that go out of business if sanctions are imposed on them but we are dealing with the health of future canine generations here not stuffed animals on wheels. Yes, some dogs may have to be put down as a direct result of this edict. The alternative is the promotion and perpetuation of prolonged discomfort for thousands of dogs which could have been bred from them. 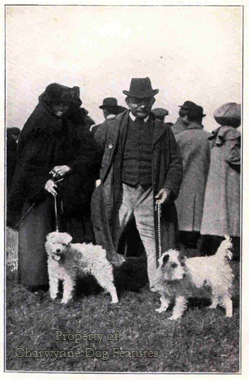 A recent article in a weekend magazine quoted two prominent KC officials as saying, firstly: "Kennel Club registration is like Debrett's...there are people who appear in Debrett's who should not be bred from...Our registration system is a statement of breeding, not a statement of quality." I have always regarded the breeding of all livestock as a perpetual search for quality.The second one stated blithely : "Does anyone want a Dandie Dinmont that hunts rats? Nowadays people want pets, not working dogs"-continuing on a theme suggesting that dogs originally bred to work no longer have any need to be. If these two quotations are accurately worded and correctly attributed to them, coming as they do from two influential individuals in the KC, I feel greatly depressed. The Debrett's analogy will surely go down as one of the sillier remarks of 1989; those listed in Debrett's are not bred to a blueprint through arranged matings not of their choosing. Even cars cannot be registered without a certificate of road worthiness. The KC studbook should be a record of sound dogs not a register of traceable congenital disease carriers. As far as the "no one wants their pet sheepdog to herd sheep, their pet terrier to bolt foxes or their pet springer to put up game" argument is concerned, this line of reasoning is unworthy of the appointment held by the official using it. 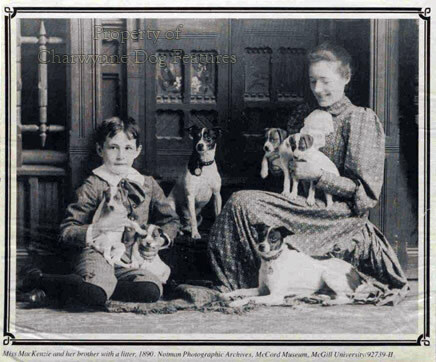 What really is the point of producing or purchasing a terrier if it is not true to its own heritage and physically capable of carrying out its originally-intended historical function? Far better to produce a newly-created breed, a purpose-bred "hearth-harrier" or a "surburban carpet-collie" designed to suit its contemporary environment! We revere our different breeds of dog because of their heritage not in spite of it. If the blueprint for a working dog is truly observed, a mentally and physically sound animal must be produced. Is that not for the good of each working breed, even pets? The Kennel Club is now at the crossroads, it can continue its benign torpor and continue to receive disrespect, impatience, even scorn. Or it can bite on this particular bullet, offend a few pocket-conscious breeders and vets but at the same time set a lead, as their Swedish counterparts have done, for all pedigree dog-owners. In this way they would earn the admiration of all true dog-lovers and probably find it much easier to conduct the rest of their business as a direct result. At the Annual General Meeting of the KC on the 28th of May 1987, their members accepted a proposal that the general committee "take steps to examine and report on methods whereby dogs which may transmit hereditary disease could be barred entry to the studbook". It is now up to the KC to find ways not of avoiding the issue but facing up to the problem and meeting the precise remit of their own members.